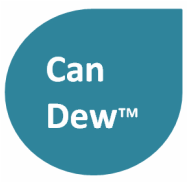 Canadian Dew Technologies Inc. - Home : Canadian Dew Technologies Inc.
Canadian Dew Technologies Inc. has developed water-from-air systems since 2003. Please contact us to discuss how we can help you with your water-from-air system projects. We are an independent small business owned and operated by Roland Wahlgren. for California, China, and India...more locations to come. 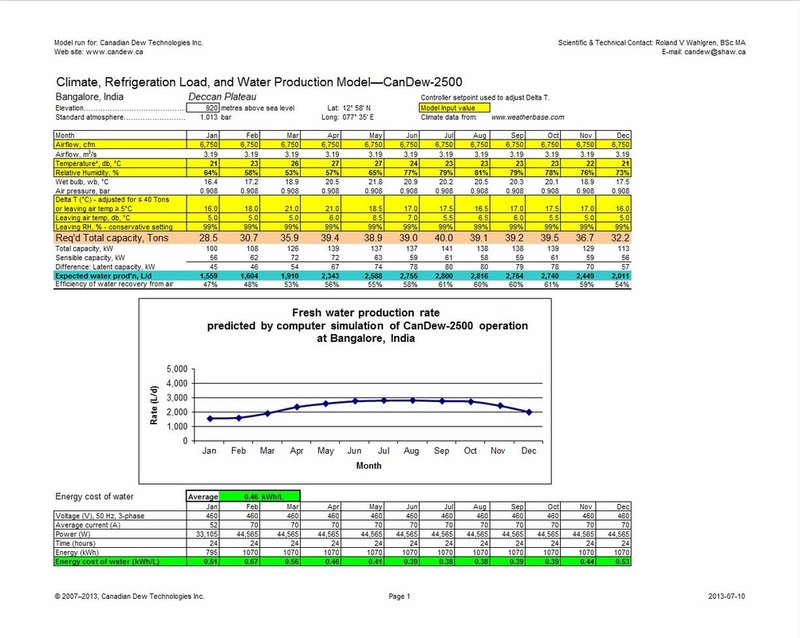 Estimates by month of daily fresh water production and energy costs per unit volume of product water--Read more then buy your copy! Click to view sample page from computer simulations. From four field trials of 550 L/d and 2500 L/d atmospheric water generators. 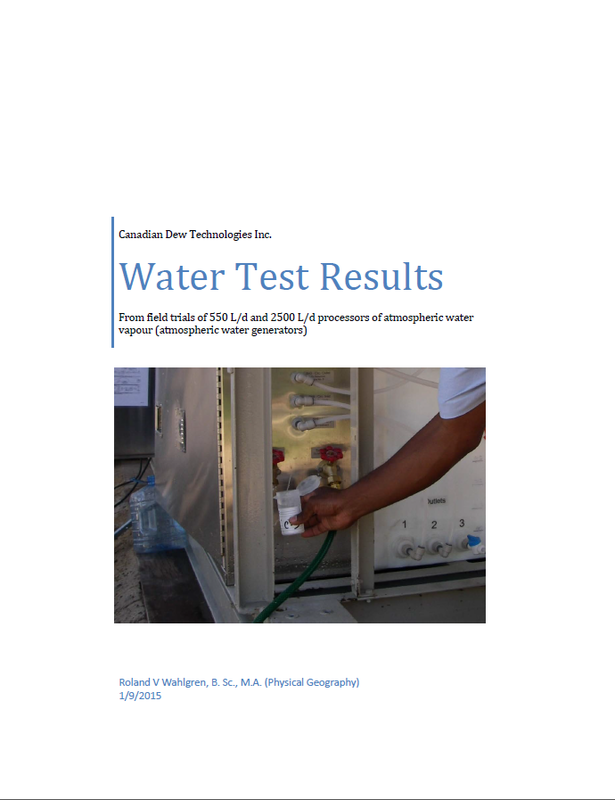 The purpose of this document is to provide some detailed examples of the water quality that can be expected from the liquid water produced by processors of atmospheric water vapour. The prospective user of water-from-air systems can then evaluate the suitability of this unique water resource for their applications. 34 pages. Buy now at the CanDew Shop!